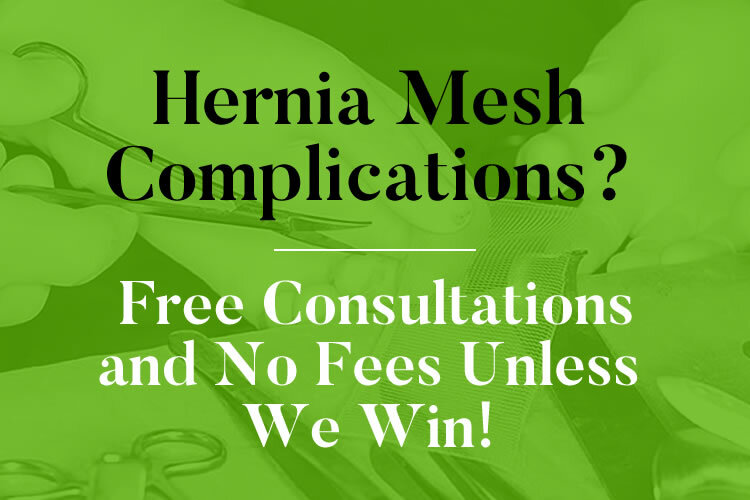 Hernia Mesh Lawyer - No Fee Unless We Win! If you or a family member has had a hernia mesh implanted and suffered complications, you may be entitled to financial compensation. Hernia mesh lawsuits are currently being filed all across the country on behalf of people who are dealing with painful side effects of hernia mesh repair. The design of these mesh products are responsible for the thousands of people suffering the side effects on an implant. Our hernia mesh lawyers have extensive trial experience and have recovered hundreds of millions of dollars for injured people nationwide. The insurance companies know who our attorneys are, they know our history of winning and getting large verdicts for our clients. Additionally, every case that we handle is on a contingency fee basis, meaning you don’t put us a penny unless we win! Get a free hernia mesh case review by filling out the form below. Find out if you are entitled to financial compensation right away! When was the hernia mesh device implanted? Click the box above and select a date. If unknown, an estimated date is ok.
What kind of hernia mesh was used? There are many law firms right now marketing themselves as “Hernia mesh lawyers“, but most of these attorneys do not have experience taking product liability cases like these to trial and actually winning. While most of hernia mesh lawsuits will end up in settlement, the insurance company knows very well which law firms will take a case to trial and which ones only have the intent of settling these cases. Insurance companies want to avoid trials as they are incredibly expensive, time consuming, and can create PR nightmares for companies like Johnson & Johnson, Atrium Medical Corporation, Bard, Covidien, Lifecell and Ethicon as awareness for the problems with their mesh devices grows. In order to avoid trial, insurance companies will pay more money to law firms they know will actually take that case to trial if the settlement offer is non fair. For this reason, it’s important to choose an experienced product liability trial attorney to handle your hernia mesh case. At i-lawsuit.com, our attorneys are experienced trial attorneys who have recovered hundreds of millions of dollars for injury victims all over the U.S. Our attorneys do not fear these large hernia mesh manufacturers. These makers of mesh devices are all accused of putting profits over the safety of people when it comes to hernia mesh implants. If you have received any of the following hernia mesh implants, you may be entitled to compensation. Search for the right hernia mesh lawyer. The lawyer you choose should have extensive experience handling defective medical device cases. Request a free consultation to find out if you have a case. Ask the lawyer if he or she has trial experience. Lawyers that do not have a history of taking cases to trial usually get offered smaller settlement offers by the insurance company. Ask to ensure that your case will be handled on a contingency fee basis. This means you don’t pay anything for their service unless they successfully recover money for you. If you feel confident that the attorney is the right choice for you, hire them. Your hernia mesh lawyer will file a lawsuit on your behalf. The best way to determine if you have a good case is to call our office for a free, no obligation consultation. 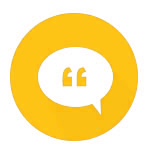 You can speak with one of our hernia mesh lawyers who will ask you some questions about your situation and let you know if you have a valid claim. If your mesh was implanted laparoscopically where a small incision was used, these cases tend to be the best ones. However, you may still have a good case if your mesh was implanted using open surgery. We are currently only taking mesh lawsuit cases those those who had surgery from 2006 and after. Feel free to call now or fill out the form on this page and we will be happy to answer any questions that you may have. Clearly, the Food & Drug Administration is aware of the problems because of the high volume of adverse events reported. The page on the FDA website goes on to mention pain, infection, recurrence, adhesion, obstruction, and perforation as the most common complications that arise from hernia mesh surgical repair. Additionally, it the states: “In the FDA’s analysis of medical adverse event reports to the FDA, recalled mesh products were the main cause of bowel perforation and obstruction complications.” Not long after this FDA statement, Ethicon (a Johnson & Johnson company) removed Physiomesh from the market. However, most of the complaints reported involve mesh products that are still being used today. With the high volume of hernia surgeries performed each year, it’s big business for pharmaceutical companies. With the rate of complications that occur (especially from laparoscopic hernia mesh surgery), it’s no surprise that people are asking about hernia mesh class action lawsuits or filing individual surgical mesh and physiomesh lawsuits. There are often severe complications after surgical mesh repairs. If you are dealing with serious complications after a hernia mesh repair, you may be wondering if there are hernia mesh settlements being paid out or if lawsuits are being files. The answer is yes. While you may want to join a class action, the truth is you are usually better off having a mass tort lawyer handle your case instead of joining a class. Usually, the only ones profiting from class actions are the attorneys as the group of participants split the proceeds after the law firm has taken their share. If a hernia mesh lawyer handles your case individually, as long as you choose the right attorney, you may be able to recover a large settlement for the harm that your mesh implant has caused you. Some question how the FDA (Food and Drug Administration) has continued to allow these hernia mesh manufacturers to promote and sell defective devices. Mesh litigation around the country has pointed out many of the issues with the different hernia mesh devices, including Bard 3D Max mesh, Kugel mesh devices, cQur, Ethicon Physimesh, Ethicon Proceed, Ventralex, Ventrio, Ventralight, Covidien Mesh, Lifecell Mesh and others. Composite meshes have become much more commonly used for multiple reasons such as the polypropylene mesh complications. Additionally, composite mesh products are extremely profitable for medical device companies. A composite mesh can sell for up to 20x times more than an non-coated polypropylene mesh. One strategy used by medical device companies is to sell many types of similar products simultaneously as has been done here with hernia mesh products. If one particular device receives too many complaints or adverse event reports, the company will often just stop making that product and focus on the other one. It’s important that you understand your legal rights and options. Contact us today for a free consultation and find out if you have a good case. We have extensive experience handling mesh cases and we will do everything in our power to make sure you are fairly compensated for all the harm caused by your mesh device. Next post How Long Does it Take for Insurance Companies to Pay Out Claims and Settlements?